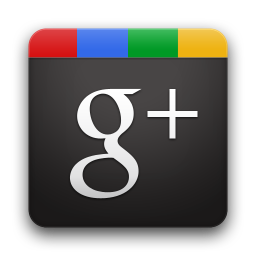 Mike Elgan talks about how he uses Google+ for all his social media. I had no idea Google+ could do all this! Technology broadcaster Leo Laporte had me on his show, This Week in Tech (TWiT), recently. I mentioned that I publish all over the Internet automatically from my Google+ stream. I said, for example, that I publish both a daily and a weekly email newsletter without doing anything. It just happens. Everything I write on Google+ is automatically posted on Twitter and Facebook, and it's made available as an RSS feed. This is part of the appeal of Google+. It's the only service I'm aware of where you can do just about everything -- publish, chat, email and blog. You can even use it as a social network. One fantastic feature of Google+ that I've recently taken advantage of is automatically publishing my blog on Google+ as well as Blogger. It's easy! All you have to do is merge your Blogger and Google+ accounts -- a procedure which at first seemed suspiciously Orwellian. I was hesitant at first, but am very glad I did. I prefer the look of my Google+ profile and it's easier for me to keep everything updated, not to mention that my blogs are now published to my Google+ circles. 1. Go to your Blogger account, the main page. 2. Click the gear icon in the upper right-hand corner of the page. 3. Select the fourth option from the top, which should be "Connect to Google+". This will bring you to another page which will explain in great and glorious detail what will happen if you merge your accounts. 4. Scroll down to the bottom of the page, accept the terms, press the button, and you're done! If you change your mind, no worries. You have a month to do so and reverse any changes made.